Being brought up Catholic I was taught many things. One of those things was prayer. Catholicism was the beginning of my faith. Many times in my life I have clung to the prayers I was taught to memorize – they helped me get through dark and troubled times when I could not find words of my own to pray. I have had a long circuitous spiritual journey, examining many faiths, and in my 67th year, after losing my mother and my sister last year, I find myself extremely contemplative about life, my faith and our journey here on earth. I find myself really exploring my belief system. I think about how it has morphed from a dedicated belief to something different. We are never the person as we started out because time and experiences effect the way we look at things anew. We are different, yet the same. My Mother loved books; she loved beautiful quotes and profound thoughts. 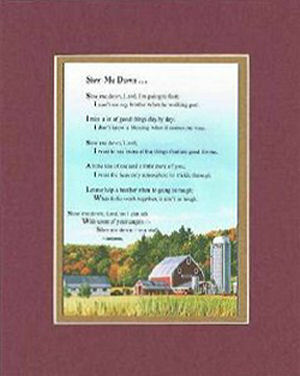 She introduced me to the Desiderata – she found the Desiderata in beautiful poster form and had one framed in an ornate silver antique frame and gifted one to each of her children. She said that was her legacy to us. As I revisit the words and meditate on the meaning of the Desiderata this Lenten Season, I strive to incorporate every line Max Ehrmann wrote into the very core of my being. Those are words to truly live by. If you have never read the Desiderata before, I invite you to search it out and read it. In searching out the Desiderata again for myself, I came across another poem written by Max Ehrmann called “The Prayer.” I had never heard it before. That prayer spoke to me from the depths of my soul and Ehrmann’s words feel like they are my own. 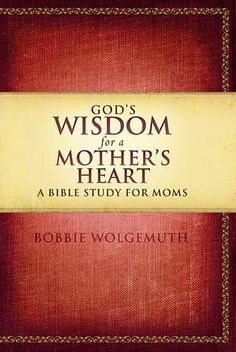 As I find myself standing at various crossroads of my life, I want to pick up the phone and share things with my Mother, and seek her wise counsel. My mother would tell me what I needed to hear without “sugar-coating” it. I didn’t always like what she told me, but the last years of her life I held on to almost every bit of advice she gave me as if it belonged in a treasure chest. It did belong there – her words live on in my mind. Today, I decided that I could hear my mother again, her voice and her words by reading the books, poems and quotes she so loved. Below is “A Prayer,” also by Max Ehrmann. What I BELIEVE is she somehow led me to it. I drink in the words and their meaning and add a line to the end of the prayer for you, who was kind enough to enter my world of thought, of only for a moment. It is bolded at the end of the poem. Let me do my work each day; and if the darkened hours of despair overcome me, may I not forget the strength that comforted me in the desolation of other times. May I still remember the bright hours that found me walking over the silent hills of my childhood, or dreaming on the margin of a quiet river, when a light glowed within me, and I promised my early God to have courage amid the tempests of the changing years. Spare me from bitterness and from the sharp passions of unguarded moments. May I not forget that poverty and riches are of the spirit. Though the world knows me not, may my thoughts and actions be such as shall keep me friendly with myself. Lift up my eyes from the earth, and let me not forget the uses of the stars. Forbid that I should judge others lest I condemn myself. Let me not follow the clamor of the world, but walk calmly in my path. Give me a few friends who will love me for what I am; and keep ever burning before my vagrant steps the kindly light of hope. And though age and infirmity overtake me, and I come not within sight of the castle of my dreams, teach me still to be thankful for life, and for time’s olden memories that are good and sweet; and may the evening’s twilight find me gentle still. And may this prayer permeate your soul and bless you. Ease the pounding of my heart by the quieting of my mind. the calmness of the everlasting hills. that live in my memory. Help me to know the magical, restoring power of sleep. to read a few lines from a good book. that there is more to life than measuring its speed. and know that … it grew slowly … and well. That I may grow toward the stars of my greater destiny. The last time I visited my mother was in July 2013. During that special visit, the last time I was to see her, she gifted me this special poem which she had hanging on the wall in her hallway. She had mentioned to me on other visits that she was going to give this to me when she died- it had my name on it. She didn’t wait for that to happen. On this last visit, she felt I was moving too fast and cautioned me to slow down. She talked about how I had always moved so fast that nothing could catch me. I had come in the world that way. My Mother had actually been my employee at one time, so she was well aware of how I moved even when I worked; funny thing is that was also how she always worked. My mother’s words and insight were not a surprise to me. She told me as I was packing this beautifully framed poem to hang it where I could see it every day. That was my intent. I did hang it at my work place, where I knew I would be every day, but old habits die hard and I forgot it was there. I continued to move at the speed of light, working 12-16 hours a day, rarely a day off, and did not heed the prose that hung on the wall before me. In fact, I was moving too fast to even focus on those words. In December 2013 I was in a head on collision. I had contusions of the chest, one knee and a broken knee. My car was totaled and my body was banged, bruised and shaken. With a brace on my knee and plenty of ibuprofen, I got up and started moving at nearly the same speed I had been. I think I was afraid if I stopped, I might not be able to get going again. I live in a multi-level house and the doctor asked how I managed to get up and down the stairs in my condition, especially with a brace on my right leg. I was actually stunned at his question. That really wasn’t funny and I didn’t answer that way to be funny. I thought surely everyone would do the same. After all, I had responsibilities and I had survived that collision. I couldn’t stop now. The accident happened on snow and ice. When I saw the truck swirling round and round on the road, coming from the other direction, I totally stopped, thinking the driver was going to hit the side of the mountain. No, he hit me. I was told by the DPS Office that if I had been moving, I would be dead. They could not see where he lost traction but they did know he was going 45 mph in the skid. Since I was alive and could still move, I took that information to mean that I had a lot left to do in life. God had spared me and I had no time to waste. While still healing and moving as fast as my brace would allow, my mother passed away and then my sister. I had built a business that I put all of my energy into and circumstances caused me to make the choice to leave. Then, I got pneumonia. None of these things stopped me until the pneumonia. I was so sick and when I read about the pneumonia, I was frightened about a possible relapse. I was truly at a standstill or a lay/sit/be still. I rested and began to make some necessary changes in my life, but still not enough. I do read the poem now. I see it every day and I am doing my best to implement those words into my daily life. My goal this year is to find balance. Now that I have slowed down a little… yes, a little, but it’s a start – for the journey of a thousand miles begins with the first step. That said, on occasion I reflect back on 2013 and the many subtle and then not-so-subtle messages that were sent to me along the way that I ignored. Even before my mother gave me the beautifully framed poem which contained the wisdom I should have heeded, intuitively I knew I needed to make some changes. Today, I no longer believe that head on collision was a message telling me to do more, move faster and to not slow down. I BELIEVE my mother gave me that poem when she did because she sensed something would happen if I continued moving at my current pace. What I BELIEVE… today, is that the head on collision was a bigger message for me, because I had failed to heed those smaller ones that kept coming at me, so I am LISTENING. SLOW ME DOWN, LORD, so I can plug in from time to time to re-charge my battery so that I can do those things I like to do for others; so that I can do a great job at my work and can even make time for my own personal needs, which deserve to be met. I BELIEVE…I will NOW take those minute vacations. It is my year to SIMPLIFY.